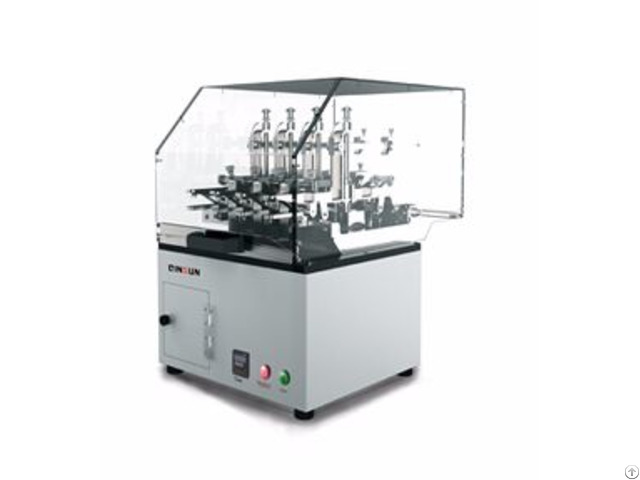 Random Tumble Pilling Tester is used to determine the pilling and fuzzing characteristics of textile fabrics. The test specimens with dimensions of 105×105mm are put in the chambers, stainless steel impellers rotate within individually lit aluminium chambers constantly tumbling test fabrics against cork liners for a predetermined time controlled by a timer and audible alarm. Compressed air is also injected into the chamber to assist in the tumbling action. Adjustable of the pressure.